Bad Hair Day No More! As a stylist, I see all kinds of hair in my chair! It still amazes me that people spend good money to get their hair colored or styled a certain way and then skimp on good products. WHY?!!! It frustrates me to no end when my clients complain to me about how awful their hair is, but then continue to use terrible products on their hair. It’s like washing your ‘dry clean only’ clothes in the washing machine and then complaining that your clothes are dull and ugly. Over the counter products or drug store products have A LOT of fillers in them. They are about 10% real product and 90% WATER. Stop wasting your money. There is wax in them that coats your hair and creates buildup. Salon products are about 90% product and 10% water so you don’t have to use very much of it and it does not have fillers in it. You could say it’s like OTC drugs and prescription drugs. So just like that, listen to your stylist. They are prescribing something for your hair problems. 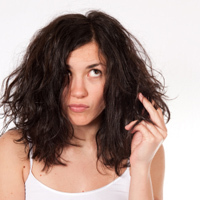 If you aren’t familiar with the idea of buildup, the most noticeable sign is when you wash your hair and it still feels dirty or takes a long time to dry. Also, please stop using dandruff shampoos when all you really have is a dry scalp. 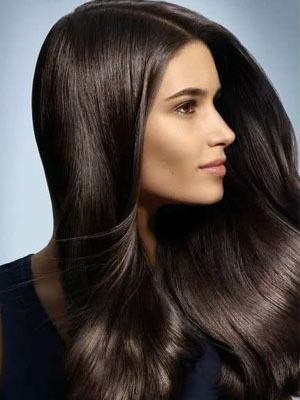 Dandruff is a fungus and needs to be treated with the right kind of shampoo. If you have a dry scalp and use a dandruff shampoo you will end up drying out your scalp even more. Don’t get too excited when you see Salon products in Target or Wal Mart. This is called “diversion”. It’s terrible. They have done studies on these products and found things like sewage water, Purell, and other random things in it. What people do is buy those products either wholesale or on discount and then mix up other things in it to increase the quantity They have bottles that look just like name brand bottles, and they fill them all up. So there is no guarantee that what you bought is actually the name brand product. That’s why there’s companies like “Salon Only Sales” that make sure these name brand products stay in salons only. They only sell to salons and not individuals. So with all that being said, I urge you to go and talk to your stylist about the best products for your hair. You can find me at http://www.facebook.com/karmicbeauty to ask any beauty related questions. I can offer some suggestions on what to use for your hair issues. Don’t forget to ‘like’ my page! This entry was posted in Personal and tagged bad hair day, beauty, Hair issues, products. My scalp is so dry & flakey but my hair is oily. What would be the best shampoo & conditioner to buy? This is an unusual problem. How long do you go between washes, what do you currently use. The “oily” hair might just be buildup. Please message me directly at j.tailorsalon@gmail.com and I can properly assess your problem.